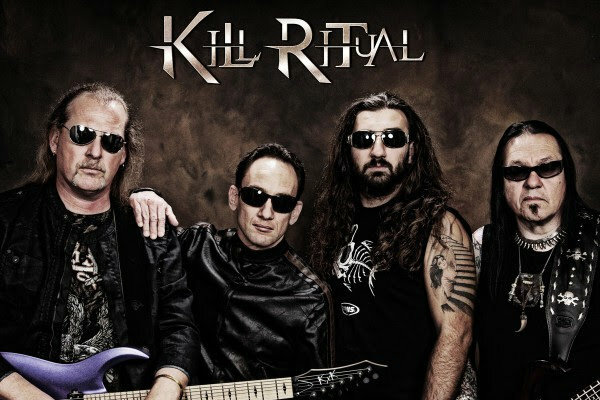 Kill Ritual are a real treat as far as I am concerned. You take the remnants of old-school thrash bands Imagika and Dark Angel and you mix them together into a new vital force of original power/thrash. I have always admired guitarist Steven Rice for sticking it out in Imagika, what with the constant line-up changes. 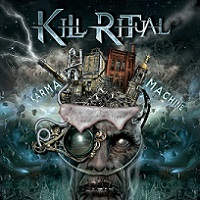 In 2010 he finally put the band to rest for good and focused on new avenues, and as a result we get his new outfit Kill Ritual. 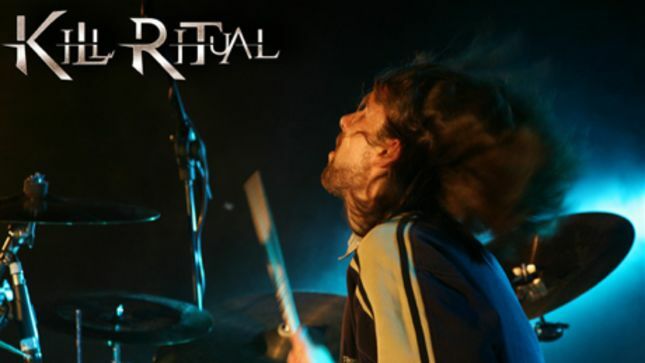 Coming along for the ride is Imagika drummer Wayne DeVecchi, former Dark Angel bassist Danyael Williams and rounding out the line-up is ex-Eldritch guitarist Robert Proietti. That’s a good pedigree to form a new outfit, and after hooking up with Scarlet Records, they’re releasing their The Serpentine Ritual debut. 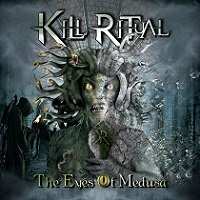 Ostensibly a thrash album, the band displays some serious chops, adding some crunch and aggressive riffing into the mix. The chugging guitars are most notable right from the get go and it sets the tone immediately. Rice has definitely become a bombastic player with his technical and electrifying fret work on tracks like “Torn Down” and “Old School Thrasher.” He sounds invigorated again and it helps to get some bluesy secondary playing from Robert Proietti to solidify the thrash throughout. Even on a track like “Coat of Blood;” you get an effective acoustic intro that mutates into a riff roaring thrash fest complete with a guest solo contributed by King Diamond’s Andy LaRocque. Of course Rice and company rely heavily upon the vocal talents of Josh “Crimson” Gibson to help carve out the sound. He can get high pitched at times, but finds a suitable range not unlike Eric A.K. from Flotsam & Jetsam. Gibson can also get down and dirty on a track like “Time to Kill” and still refine his delivery on “Coat of Blood,” and “Prisoner of the Flesh.” At times, I find his vocal style more suited to an LA glam rock band, but lending his talents to Kill Ritual gives the band more originality than most of the modern thrash bands currently filling up the genre these days. It might take some time to adjust to his vocals, but he could ultimately be the real coo in this outfit. 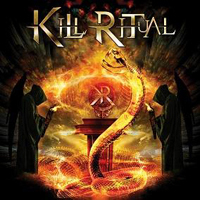 Kill Ritual is truly a bonafide band of spare parts being utilized in a new and exciting adventure. I say adventure because the music is Bay Area-influenced, but obviously filtered through Rice’s musical experience. He’s laid no stone unturned here, as the songs vary through the metal landscape, but stay close to the thrash blueprint of the past. As much as I enjoyed Imagika, I am thrilled to death with this new beast and remain optimistic of a long fruitful career under the moniker of Kill Ritual.